Former Big Brother Naija housemate, Ekemini Ekerete also known as Kemen has declared that, judges of the reality television show were unfair to have disqualified him after he was caught fondling Tboss while she slept. Recall that Kemen was in March disqualified after he was caught on tape groping Tboss while she slept. 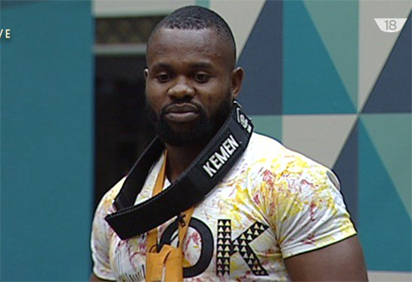 Following Kemen’s disqualification, the organisers of the show said it took them seven hours of deliberation, to disqualify the fitness trainer.